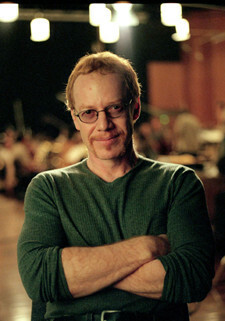 Many sources, including Laura Kuhn and Nicolas Slonimsky, Baker's Biographical Dictionary of Musicians (2004), stipulate that Elfman was born in Amarillo, Texas. But the truth is revealed in an interview with Carvin Knowles, Jewish Journal, 20 September 2007, "Elfman was born in Los Angeles and grew up in Baldwin Hills, where he attended Audubon Junior High School." Quoting Elfman himself, "After doing bios for years, I started making stuff up. I used to say I was from Hungary or Texas. The Amarillo one stuck. That was just one sick moment."